Oh you are right Becki I see further down. Thank you for pointing that out. I am so glad she finally is getting her own home. I hope you don't mind me posting about Kutie ... Just a few minutes ago I found your website and was really quite excited to find a bit about her. 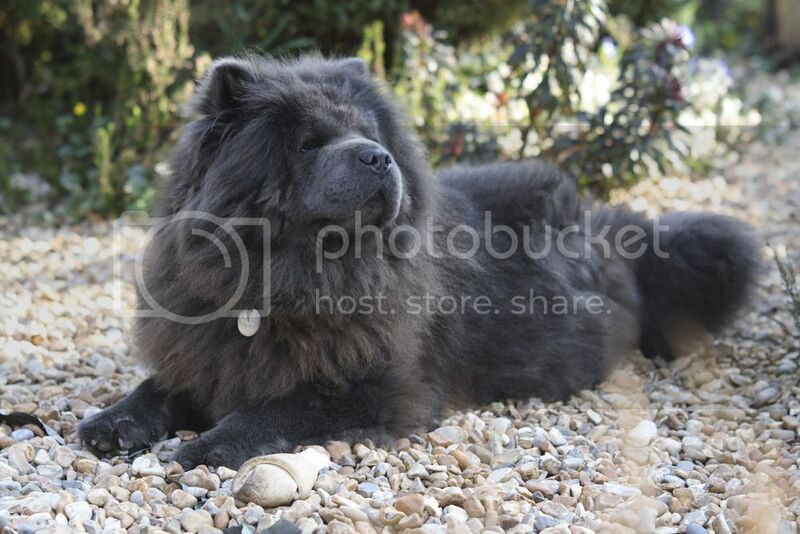 I was lucky enough to adopt her on 10 January ... she is my first Chow and I totally adore her. I'm experienced with rescue dogs (40 years) - maybe it helps a little that I had Afghan Hounds - temperamentally there seem to be some similarities I think. Anyway, she has settled in beautifully although she has just had a very big setback in that her back legs were in such a dreadful way that she had bilateral TPLO procedure last Friday with additional bilateral sulcoplasty She found it a very upsetting time - I think she feared she had lost her home - so she came home early from hospital and is now doing really well. She is a brave and curious girl as well as being a cuddle-dog extraordinaire! She loves my already resident ShihTsu x Tibetan Terrier and I believe she is happy. 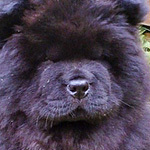 I'm really enjoying learning about Chows and I can see I've a lot to learn. Be assured that I'll do the very best I can ... and maybe I can ask for help if I need it. Thank you Sirchow for such a warm welcome. Oh I can promise you that I will do everything I know to make her happy ... she is an amazing girl ... so brave even when she is so afraid ... Her history fills me with complete horror and I see evidence of the psychological scars as well as the physical ones. The surgeon who operated on her told me that the cruciate ligament in her left leg ruptured years ago and consequently the meniscus was long gone too ... and still they bred from her ... I call that savagery. The right crucial ligament was fraying before it ruptured one evening about 2 weeks ago - she was at the vet in 12 hours of course. And all that is in addition to her poor luxating patellas. It is quite challenging at the moment because she has to be confined to allow her legs to heal but yet the confinement clearly brings back dreadful memories for her ... so it's trial and error to find "middle ways" ... so far, so good. She's a total sweetheart - even though I've only had her with me for 11 weeks she obviously trusts me even to put tablets down her throat when she refuses to take them the easy way with butter or cheese etc ... just keeps wagging her tail. I'll try and understand your photo system ... but I warn you I'm utterly technophobic! Lorna Lake and Kutie, welcome to the group. 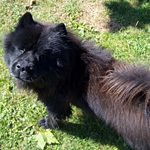 Having a rescue chow is just like having any other rescue dog, BUT with a little twist. 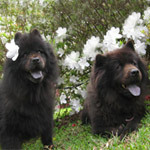 Like you, I have a few years experience with dogs, and what I have found with my chows is that there is a chow way to do everything, and that they look to me for cues on how to behave. Here in the states, they have a negative reputation, but I have found my two to be the sweetest most lovable and loyal dogs. Hi Lorna. If you would like to email the pics to me I would happily post them for you. She sounds a total sweetheart and you sound, like I said the perfect forever home for her. I wonder if it would work tying her to something heavy instead of caging her. We tied Bramble (My red girl in the strip below) to a coffee table which was filled with books for weight on the shelf below. At least something like that would mean she didn't have to be caged. Bramble had two tplo's and luxating patellas and torn meniscus so I feel your pain and know some of what you are going through. She will be a different girl when she is all better from this and my girl can now do 1/2 hour walks. 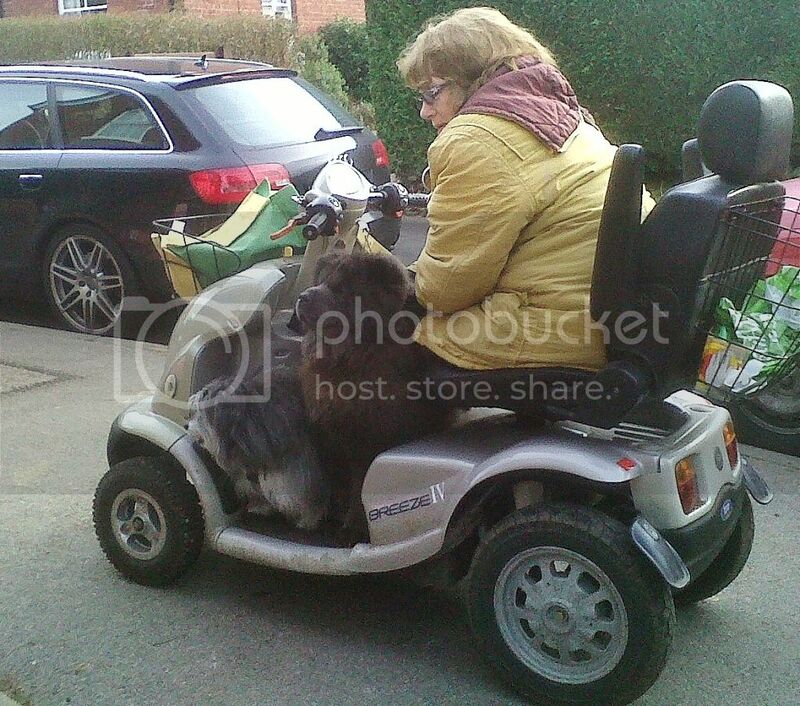 She probably could do more but the stress of the ops brought out problems with her elbow dysplasia. I am so glad she has such a wonderful mom now and thank you for all you are doing for her. There are people in this world who do such wicked things to dogs and then there are such good people like you who are left to sort it out. I am sure in a years time you will look back and barely recognise the chow you have now as the Kutie she will be then. She makes a very proud passenger! 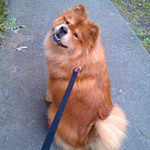 Lorna what a fantastic rescue story, everyone has gained from this experience it seems..Thank you for opening up your heart and home to such an adorable chow..WHAT A MAKE OVER SO HAPPY..
Lorna so glad to hear such a good report from the Vet..Wishing you both continuing success and happiness with this long recovery..
What a wonderful rescue story. Kutie is a beautiful girl and so lucky to have you Lorna. Glad to hear that her recovery is going so well. The home must need the good opportunity of food, lap and warm place. If the chow can not feel comfort that would be the negetive side. After all the home would be well organized..